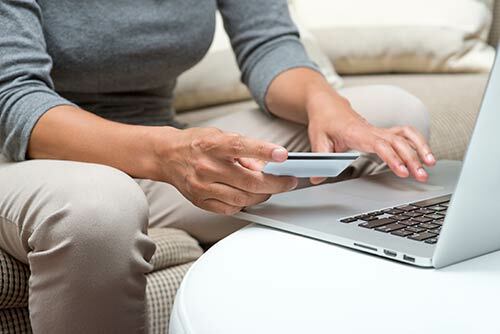 You can pay your bill online, by logging in to MyAccount. There is a $2.99 processing fee that will be charged for credit and debit card payments. To pay by phone, call 1-877-885-7968. Please have your bill available so you can provide your account number. Payments can be made by automatic withdrawal from your checking or savings account. To use this method, call our office at 920-623-5912 or download the Authorization for Direct Payment ACH Application form and return it to us. There is no fee associated with this payment method. Please include the top stub of the bill to assure that your account is properly credited. During normal business hours (Monday – Thursday, 7:00 am – 4:30 pm, Friday, 7:00 am - 4:00 pm) customers can make payments by cash or check at our office, located at 950 Maple Avenue, Columbus. After business hours, payments can be dropped off in one of two night deposit boxes, one located accross from the post office and one at our office outside of the main entrance.